A portrait of Abraham Lincoln, the sixteenth President of the United States. He successfully led the country through its greatest internal crisis, the Civil War, saving the Union and ending slavery, only to be assassinated as the war was virtually over. 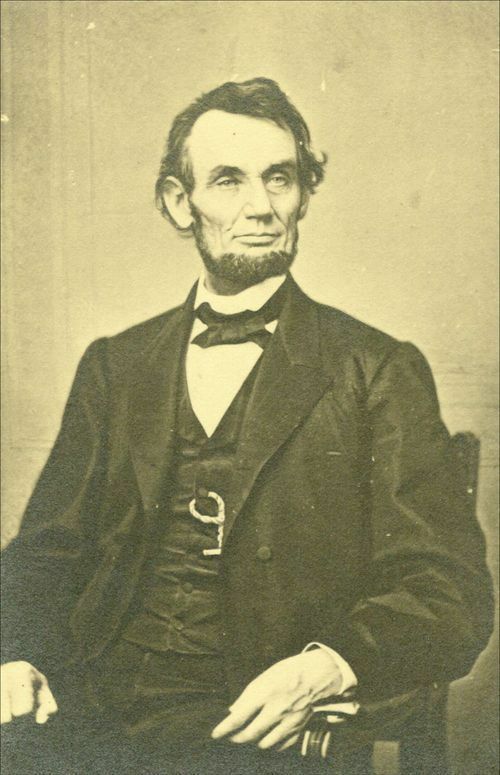 Before becoming the first Republican elected to the Presidency, Lincoln was a lawyer, an Illinois state legislator, and a member of the United States House of Representatives.